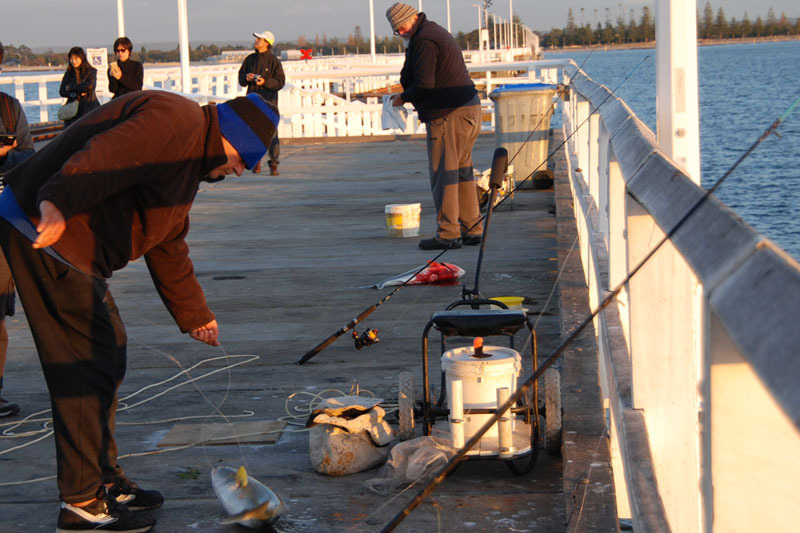 I made a trip down under to Western Australia (Perth) recently and being the angler I am, I was looking forward to see how the local fish. 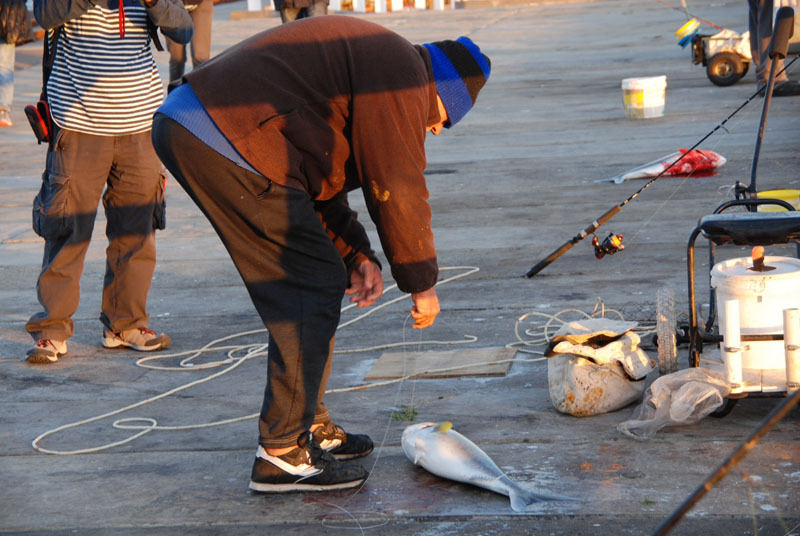 As my interest is basically fishing from shore and structures, the images I will be showing are of people fishing from shore, and some of the interesting things I saw that are related to fishing. 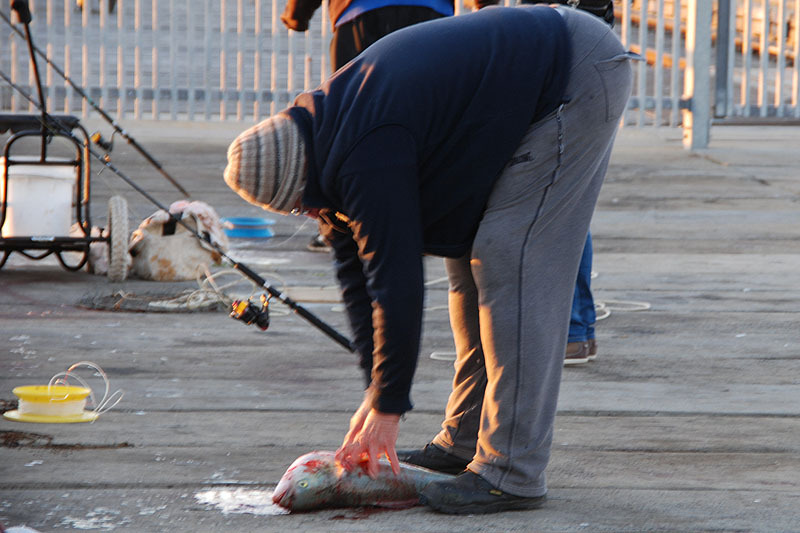 I would not be writing much as I don't really have much to say (which is rather rare I know ;) ) as these are what I observed and I did not have a chance to really understand what the anglers does, and also didn't have much time to have a decent conversation with them. 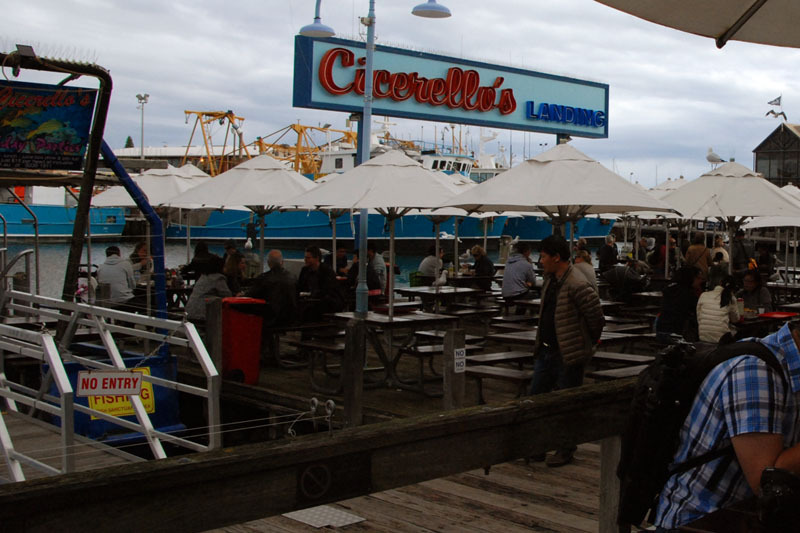 This is not about fishing actually, but while I was having lunch at Cicerello's (in Fremantle) for fish and chips incidentally and having fishing in my blood, the first thing I did was to check out the water in the harbour (Success Harbour) beside the restaurant and this is what I saw. 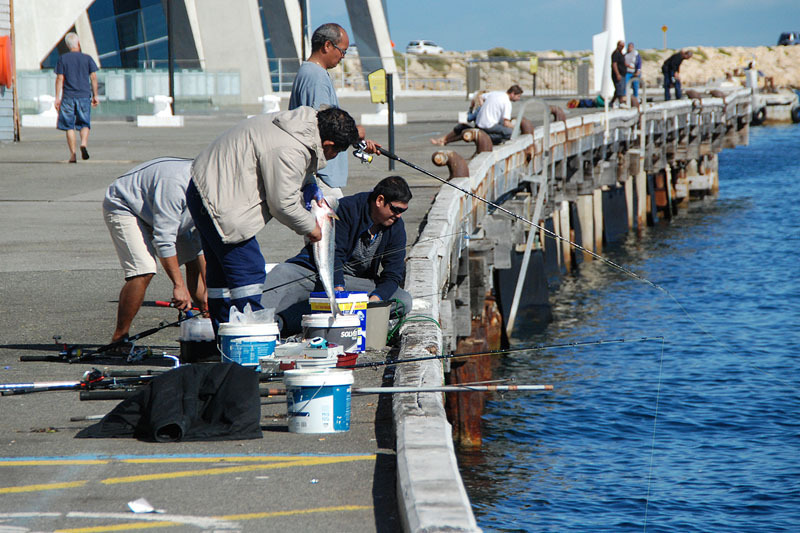 Still in Fremantle, the following images are people fishing along the Fremantle Harbour. 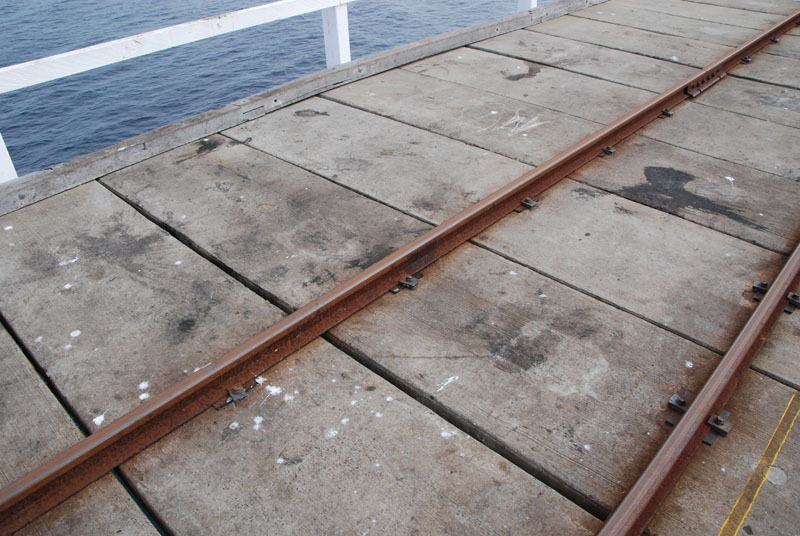 This location is behind E-shed all along the harbour towards the Western Australia Maritime Museum. 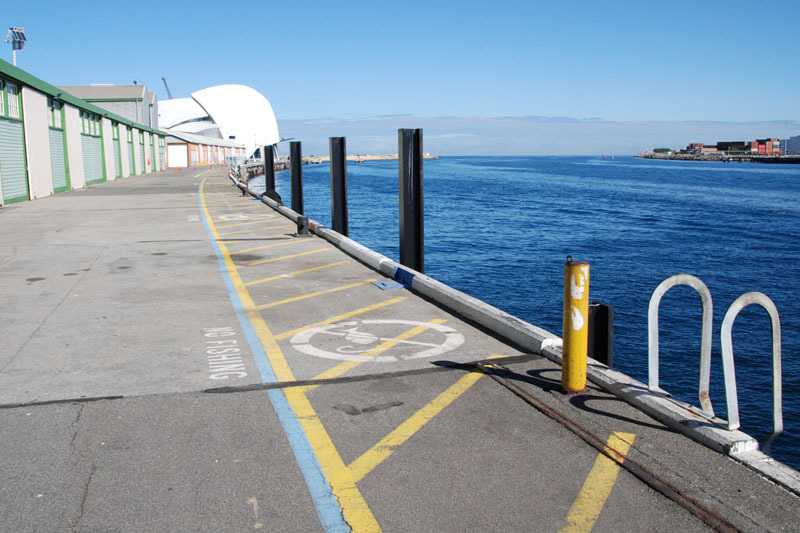 The area immediately behind E-shed is not for fishing as you can see the sign painted on the floor, but fishing is allowed nearer to the WA Maritime Museum. 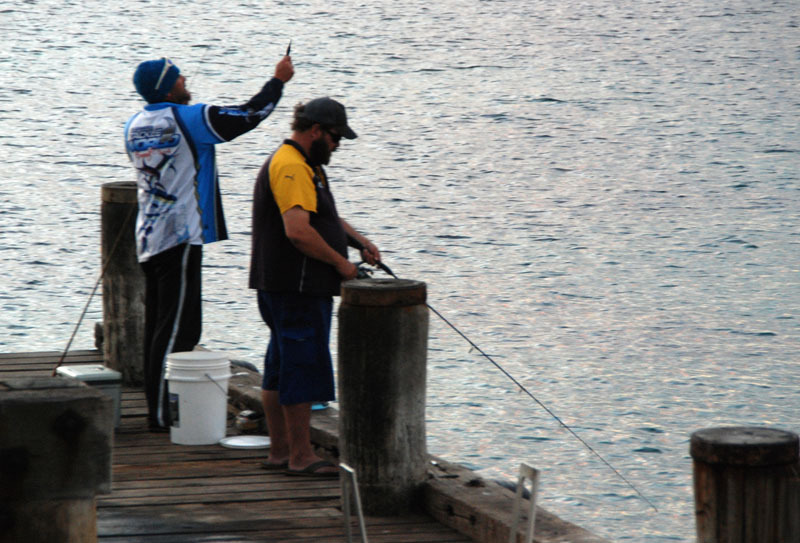 It was near winter when I was here and the anglers told us the fish they caught are call Salmon. 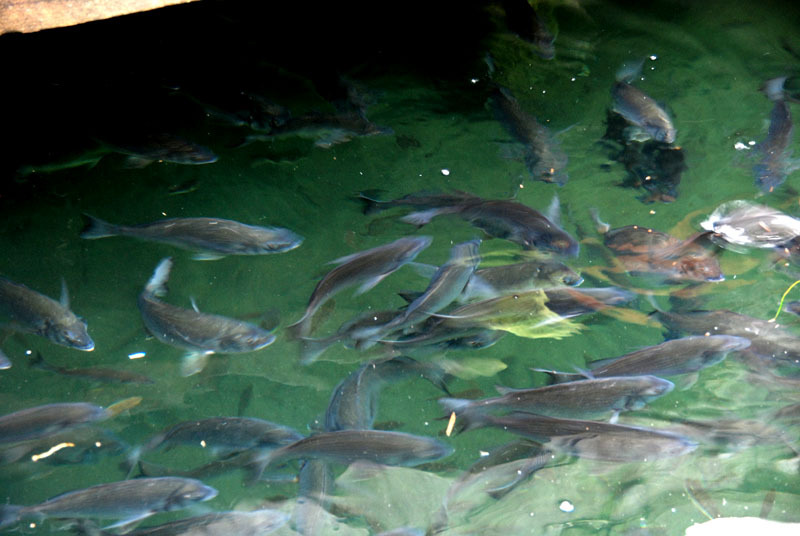 Probably this is the local name for this fish. 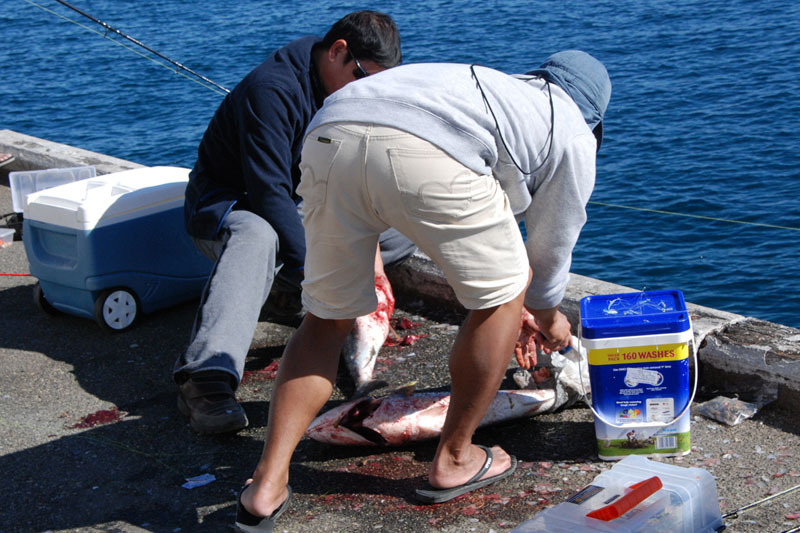 I notice most of the locals usually bleeds, gill and gut their fishes on the spot. I don't really know the reason, maybe the wife complaints ;) Or maybe to get better texture of the flesh. Here's something our authorities can learn. 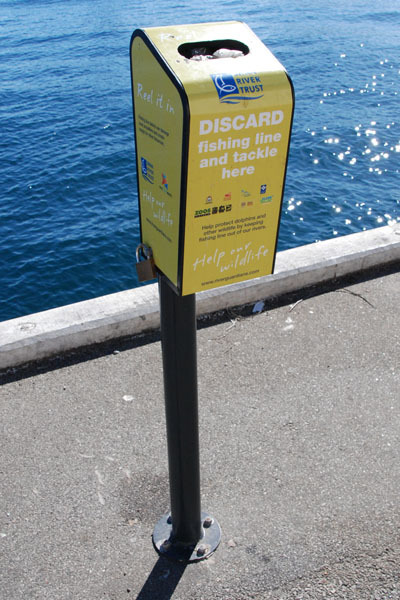 Provide such bin for angler at places where fishing is encouraged. 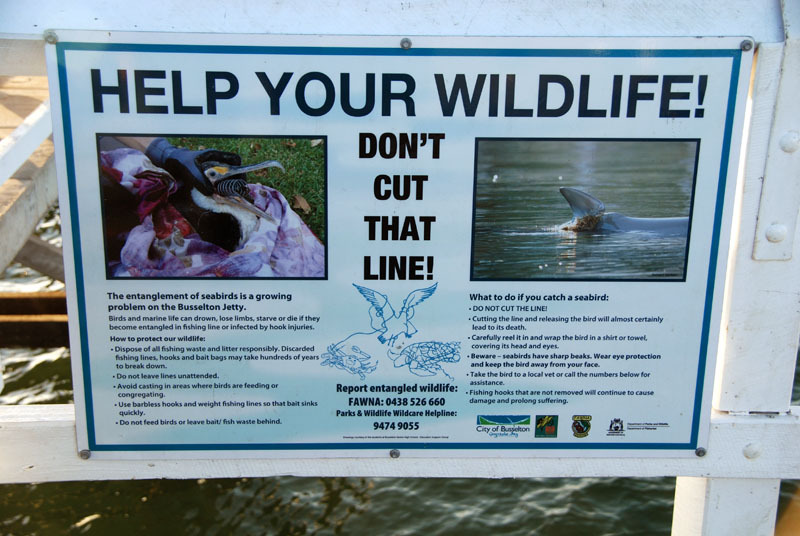 Put up telephone numbers for public to call if wildlife like the otters get entangle in hooks or line. Sometime I feel bad tossing hooks and line in our public bin, the reason is because our cleaner are not aware of these hooks and might hurt themselves. 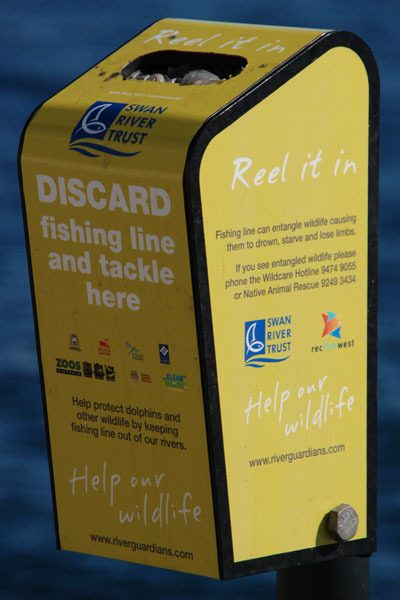 Having allocated bin for hooks allow our cleaner to be more cautious when clearing these bins. 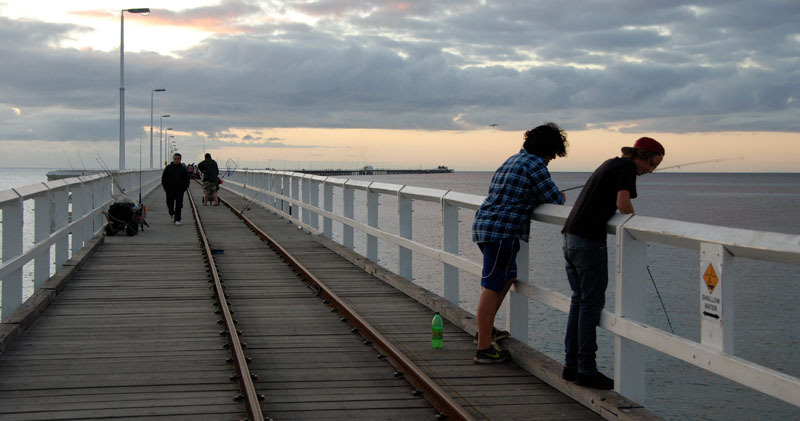 The next place I headed to was 250km way down south from Perth to Busselton, to the famous Busselton Jetty. 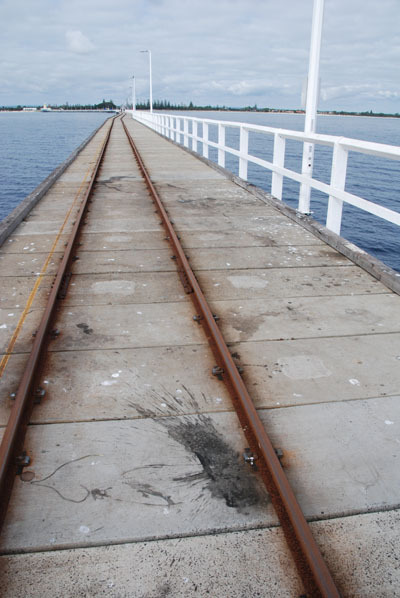 The longest Jetty in Singapore is the Bedok Jetty which is 250m long. How about one that is slightly more than 7 times longer ? 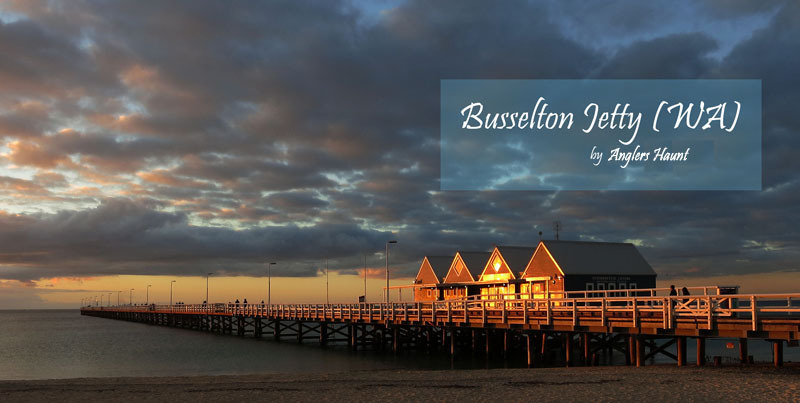 At 1.8km Busselton is the longest jetty I have ever been, I was told on good days you could even see whales over the end of the jetty in Geographe Bay. 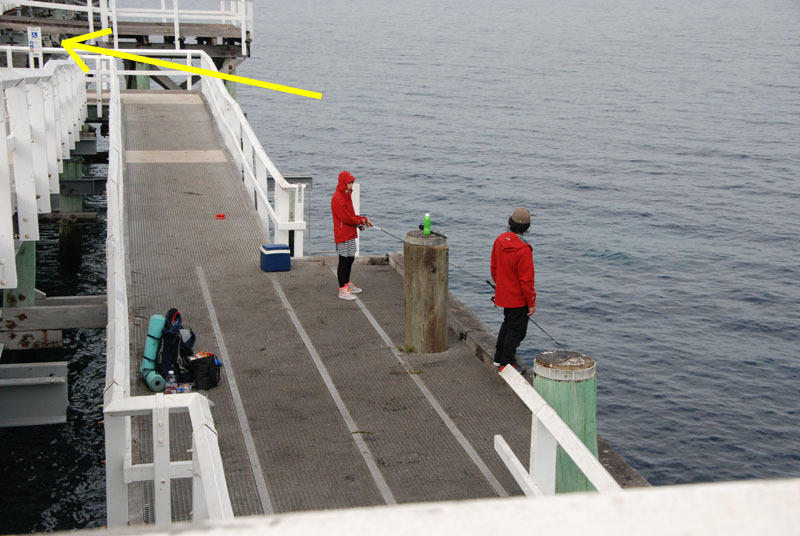 Whales, I didn't see but I did see dolphins trying to steal squids from the eging anglers just beside the jetty. 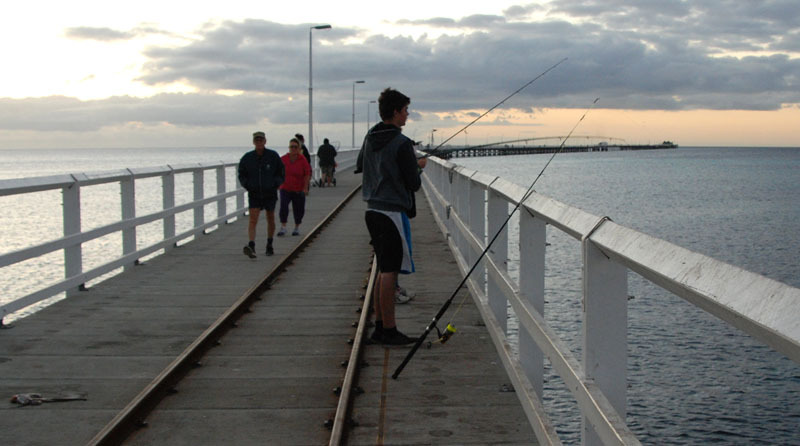 There is lots of room for everyone and there are fishermen of many kind young, old, man, woman, children, noob and seasoned. 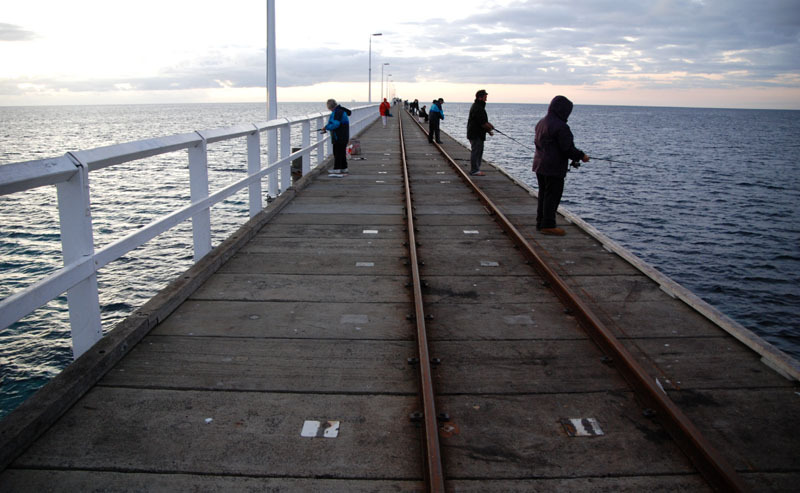 You could fish from the jetty itself or go down to the landing platform below. Notice the arrow in the above image? 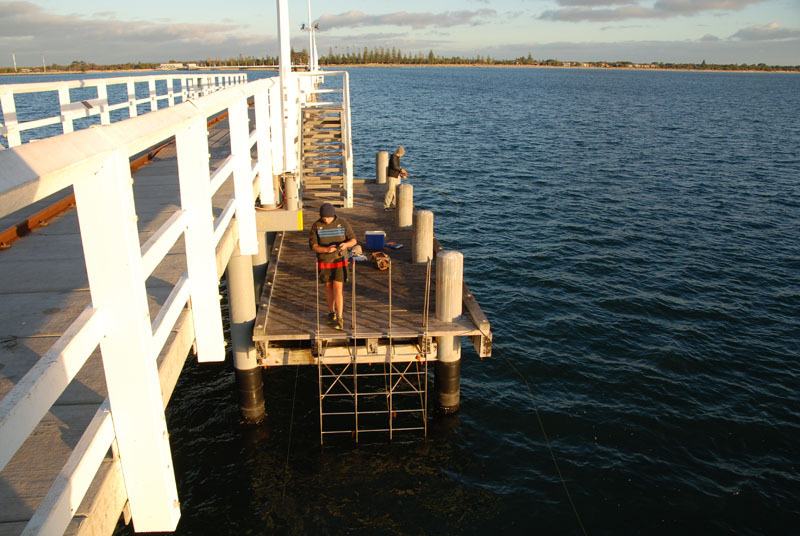 The landing platform is designed in such as way to allow disabled anglers to go down and fish from the platform if they wished to. "Equal Opportunity" at its best. This show me, that Singapore though considered a developed nation is still miles apart from Australia in term of Class (notice the capital "C")! 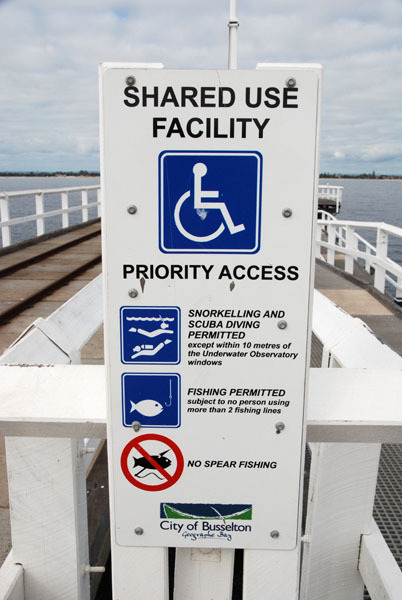 I really can't imagine the govt of Singapore doing something like that, something that doesn't benefit them economically (not for tourisim) or something for a very small community of people (disabled anglers) as "it cannot justify the ROI". 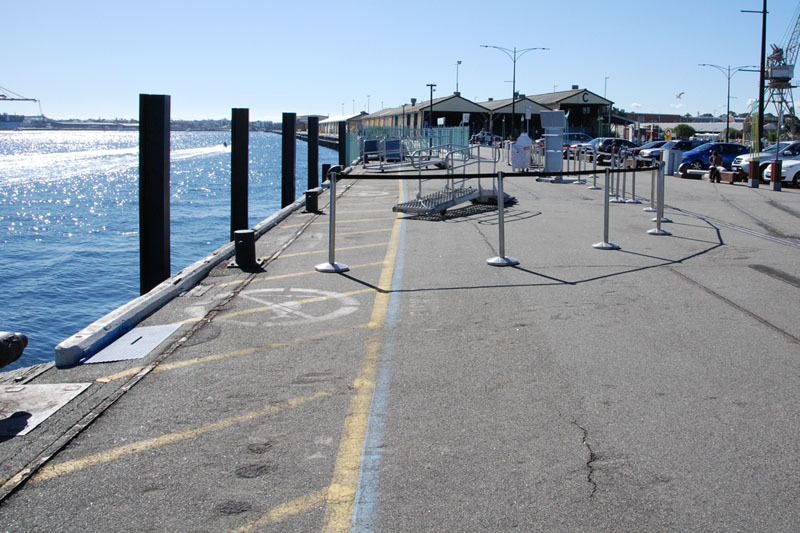 Incidentally this was not the only handicap friendly fishing jetty I came across during my travel south, I saw one near the tip of Cape Leeuwin too. 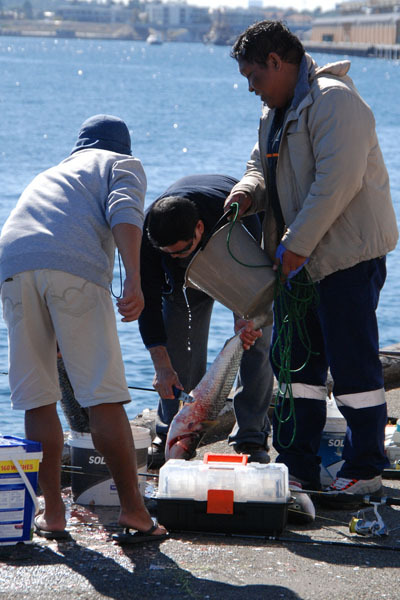 Enough of serious fishing. Below is an image I never thought I ever get to capture. 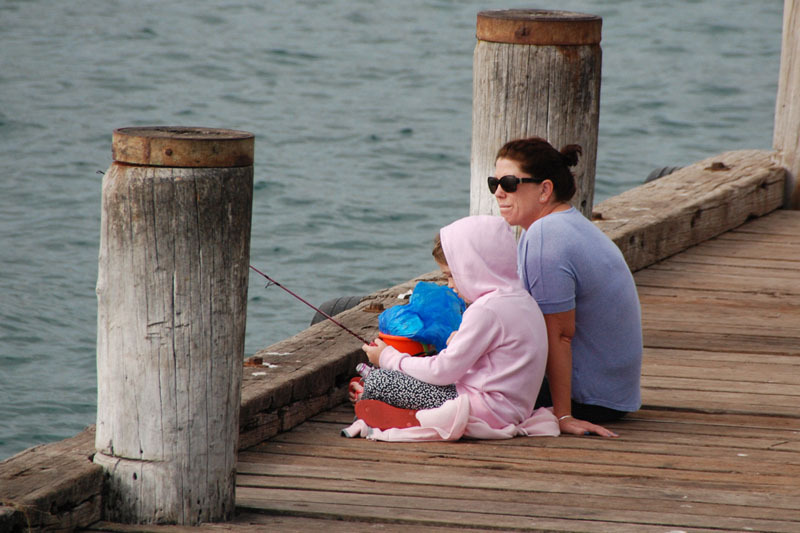 It a shot of a mother bring her daughter fishing with a little purple fishing rod. I kept looking around for a daddy and there wasn't! That's so cool.! Not something you see everyday, not in Singapore nor Australia. Oh.... by the way, did i mentioned that it was almost winter? 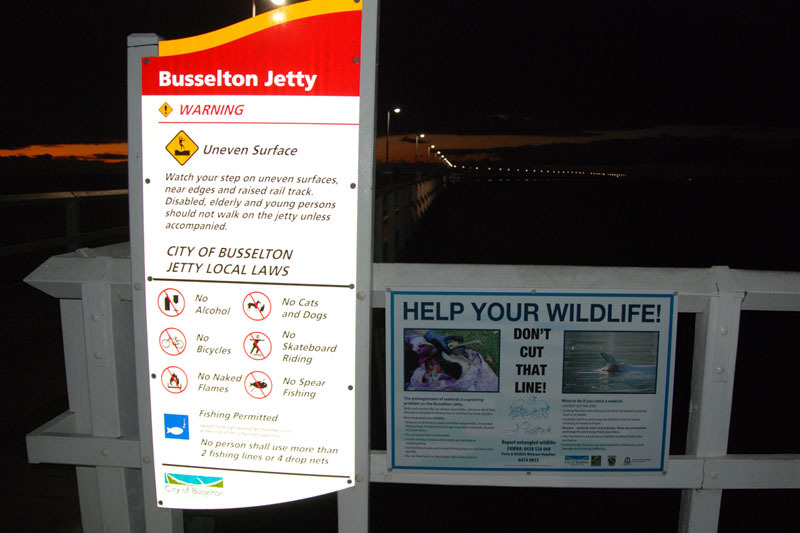 Ok, so as to not sound like a broken record, I hope our authorities can really improve our fishing infrastructure for poor anglers like us. 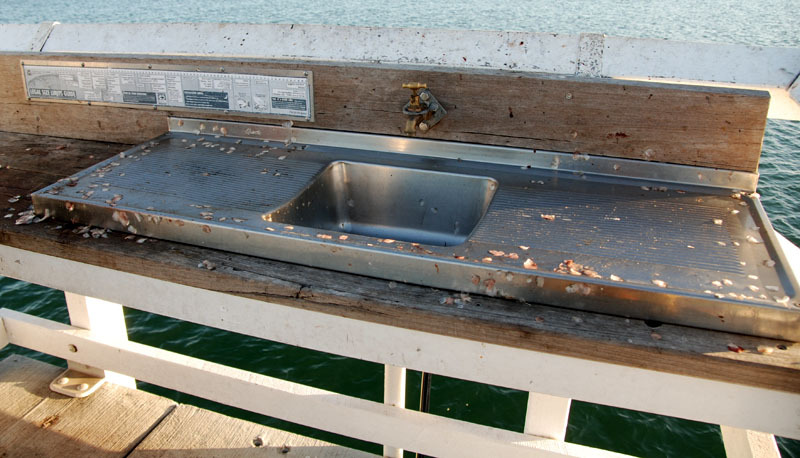 Look here, they even have wash basin installed on the jetty for people to clean and scale their catch.. !!! 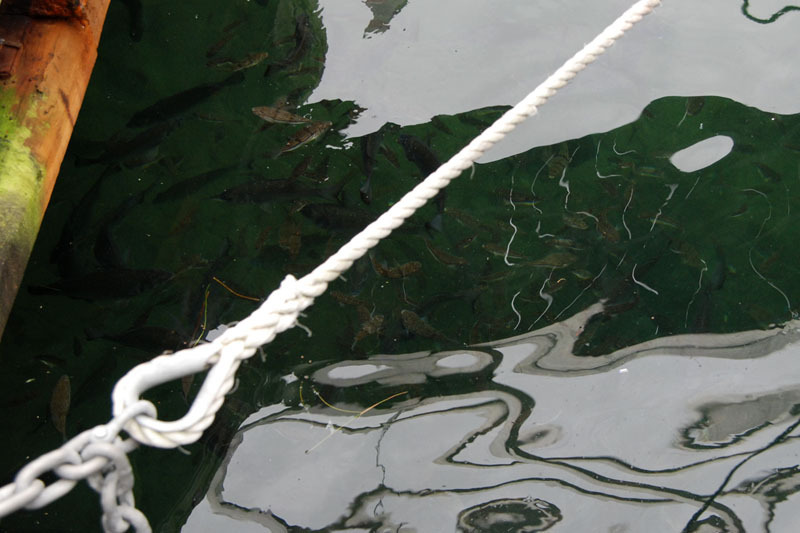 In the picture above there is a size limit guide, this guide tell you of the smallest fish you can "TAPAO" so that people don't kill all the tiny fishes before they can even grow big. 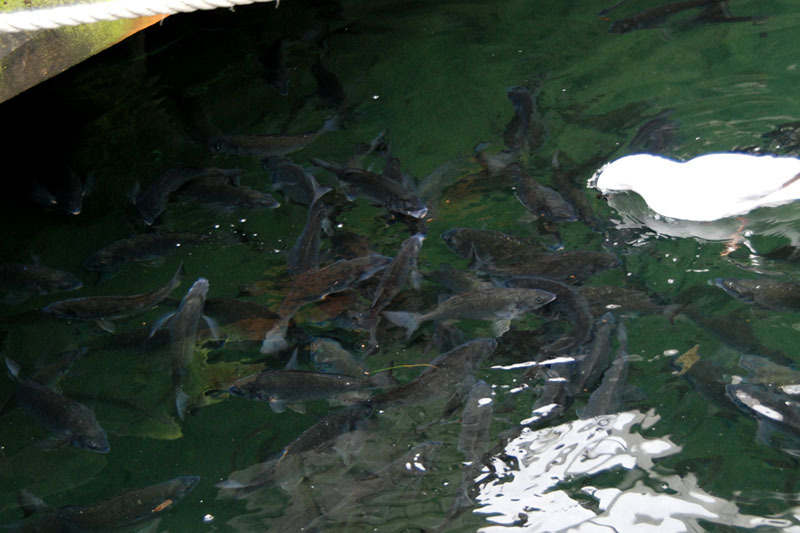 For some species they also have the legal max size limit that you can bring back, that is to protect their broodstock. 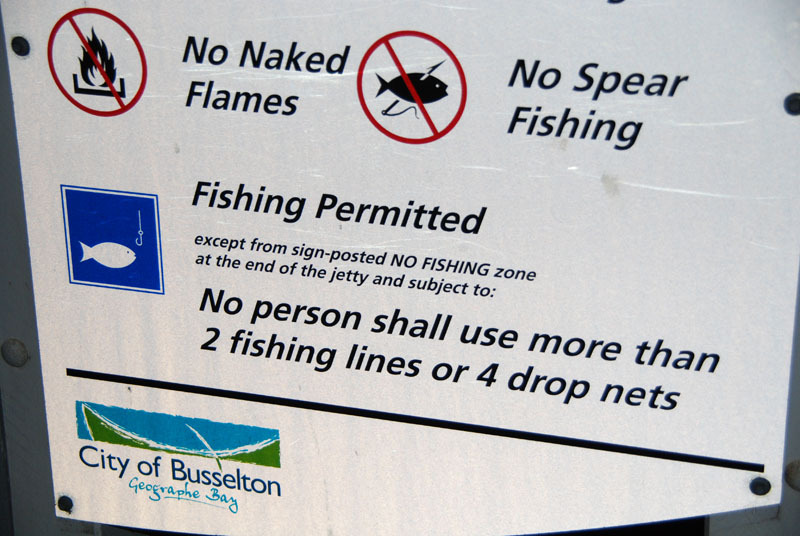 And the Australian authority is very serious about enforcing their limit, no mucking around, you can go to jail or get a hefty fine if you dare try push the limit and I fully support that. Below is a blow up image of the guide. I travel further south to a place call Grace Town (Elvis wasn't home :D , okay okay Graceland not Grace Town). 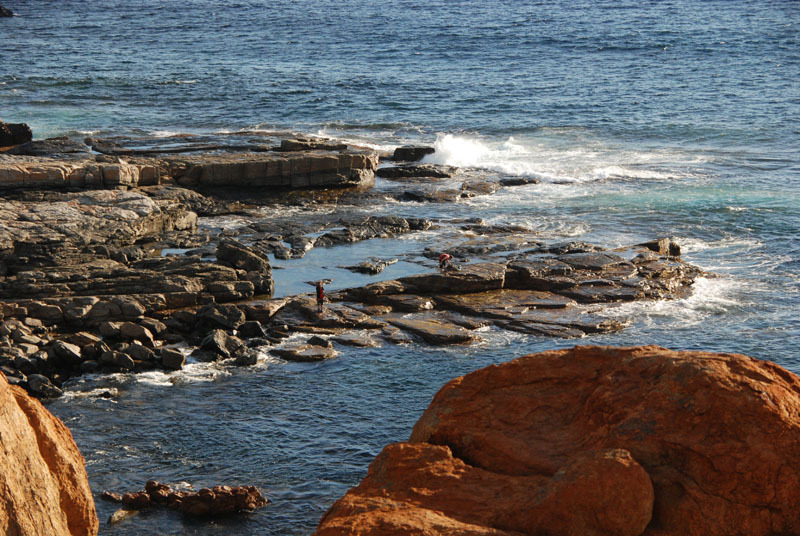 Anyway, I just wanted to show everyone the nice coast those lucky Australian has. Nice shore, nice sea, big waves and even surfers. But where there is water ...... 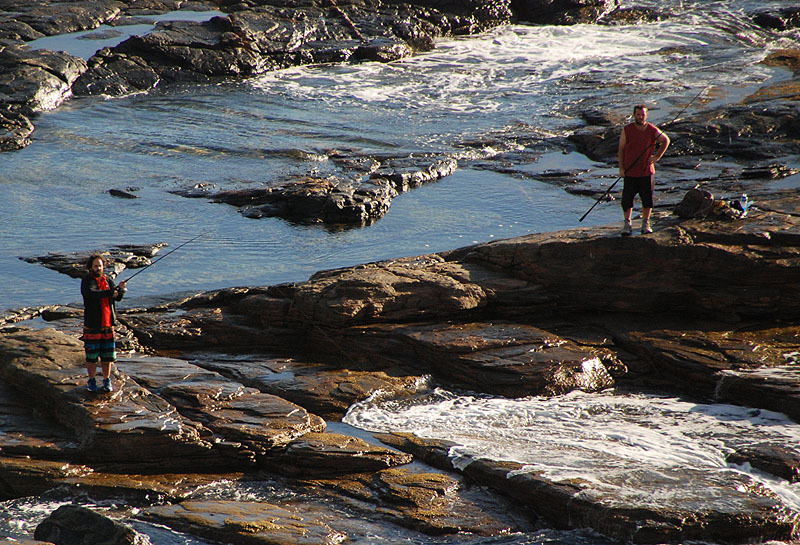 I am sure there will be some anglers around and I was right, I did find some on the rock!. Before I sign off. 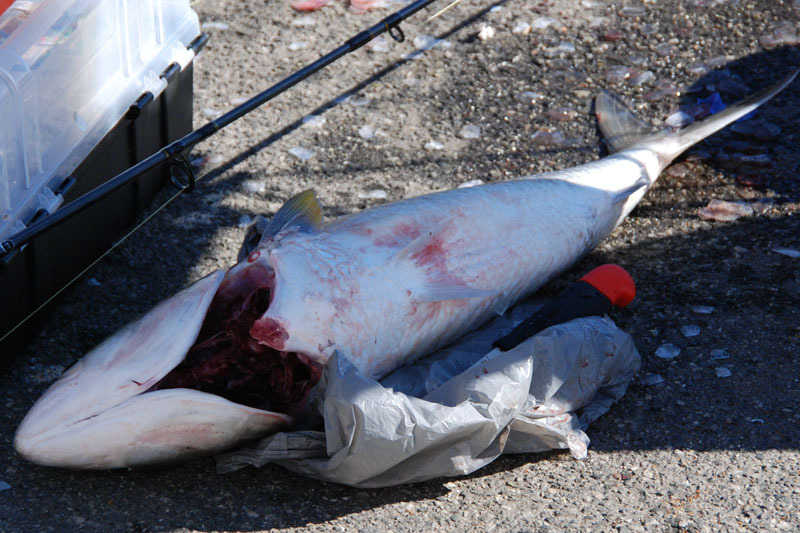 A warning if you ever get to fish in Australia, be very careful whenever you get into the water. 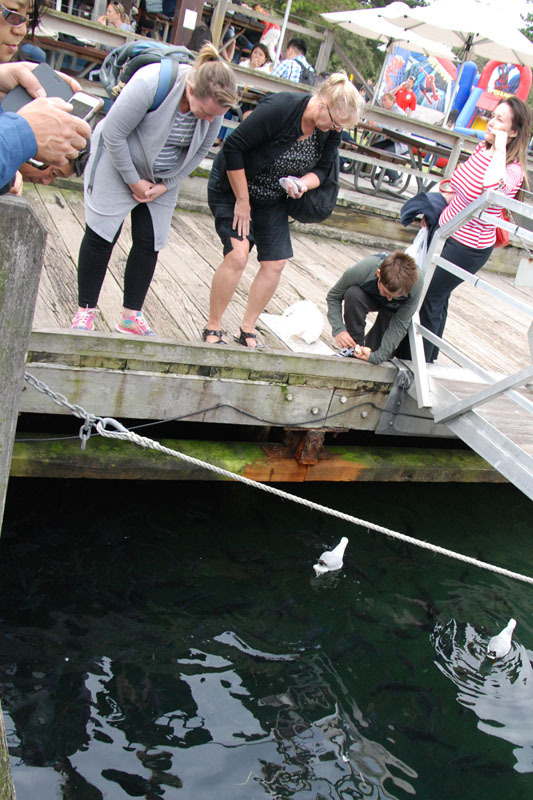 Other than the whole list of dangerous stuff they have, always watch out for the little thing in the water that can really spoil your day. 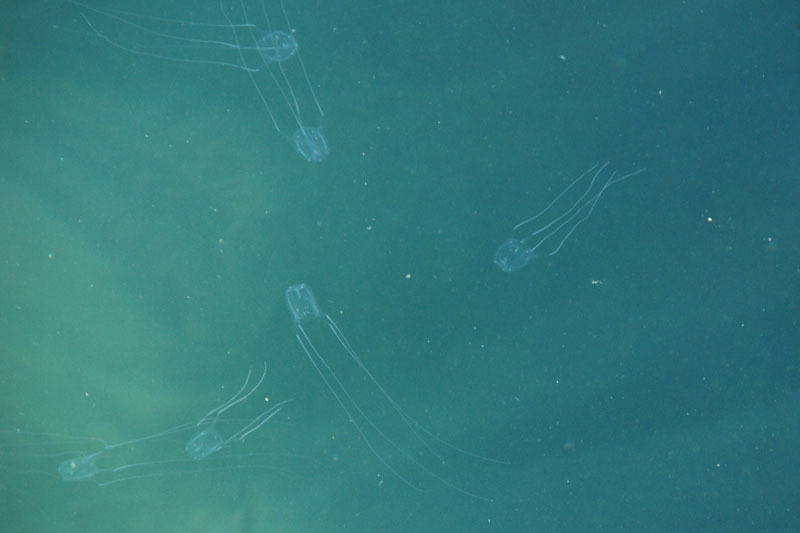 Do watch out for these little cute box jellyfish, the sting of one of this might send you to the hospital. 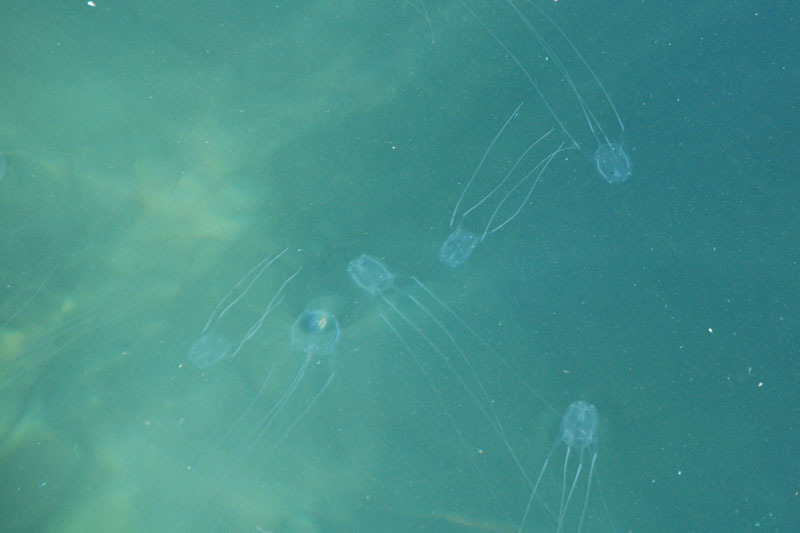 I have always heard and read of them but on this trip I happen to see a swarm of them.